At some point or another, every child’s parents told them not to play in the mud. Around that same time, those children often determined it was better to ask forgiveness than permission, returning home a muddy mess. 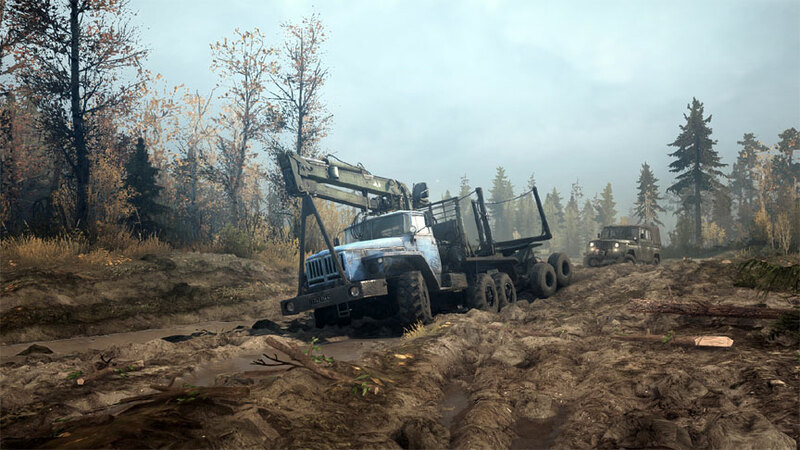 For those who still have that little kid inside them, screaming for the chance to run around in the rain and mud with reckless abandon, SpinTires: Mudrunner offers an entire world of mud, giant trucks and opportunity to take making a mess to new heights. 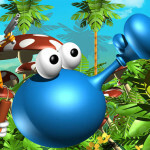 Originally released on the PC, it now also spins its way over to consoles, were we pick up the muddy fun. Mudrunner takes the original Spintires game and builds upon it with enhancements to physics, graphics and general quality-of-life improvements from the game’s first release, all while maintaining the core experience of driving huge off-road vehicles through extreme terrain. 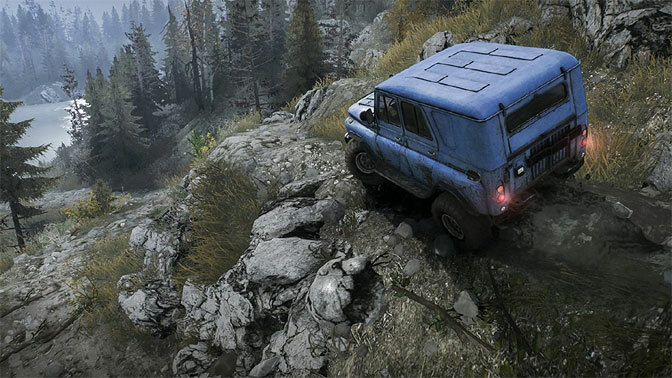 At its best, Mudrunner has players careening through barely drivable, bogged-down paths, replete with hazards that would cripple lesser vehicles. 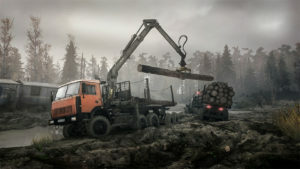 Taking control of giant logging trucks, fuel tankers, flatbeds and other diesel guzzlers is unlike most driving experiences available on PC and console, with emphasis placed on maintaining control of your vehicle and being able to complete challenges as efficiently as possible. 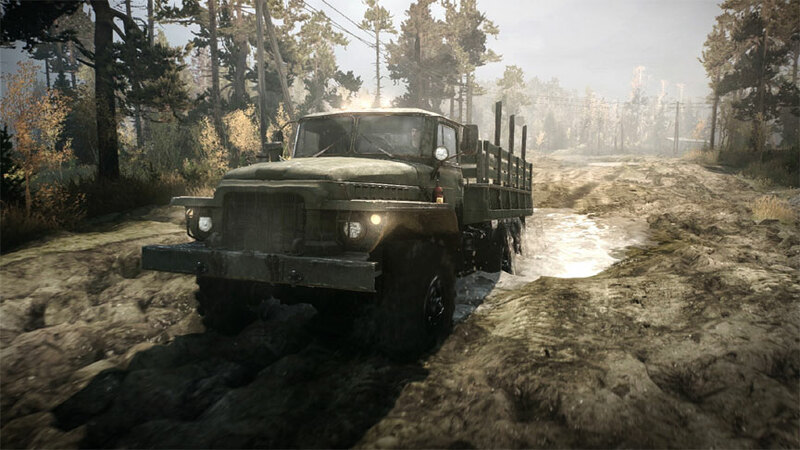 To drive home that emphasis, Mudrunner does an excellent job creating a sense of how powerful and commanding its fleet of trucks is, thanks in large part to the superb physics engine and realistic ground deformation. Every vehicle movement has lasting ramifications for the forested maps you’re operating in, and without realizing it, you can quickly find one of your trucks stuck in the mud, unable to move an inch. 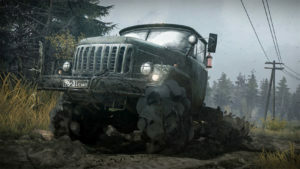 Come play in the mud with a copy of SpinTires: Mudrunner for your favorite console or PC from Amazon! Accelerate too quickly, and you’ll find most of the game’s vehicles spin their tires and get stuck in the mud. Moreover, when that happens, it forces the tires to dig in, making subsequent attempts to extricate the truck even more challenging. 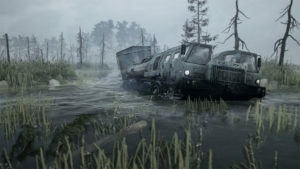 Trying to rescue each situation straddles the line of painstaking and thrilling, but figuring out how to get an entrapped vehicle moving again creates some of Mudrunner’s best moments. 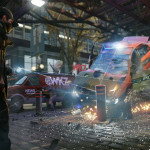 The game’s biggest problem, unfortunately, is that it doesn’t explain any of this. You have to figure it out on your own through trial and error, but even when you do, it’s not always obvious how solve the problem. Mudrunner starts off with a rudimentary tutorial, showing players how to operate different vehicles, their strengths and weaknesses, and the proper time and way to change to a new truck. It also explains the mechanics of using all-wheel drive, differential lock, and how those affect traction and fuel consumption. 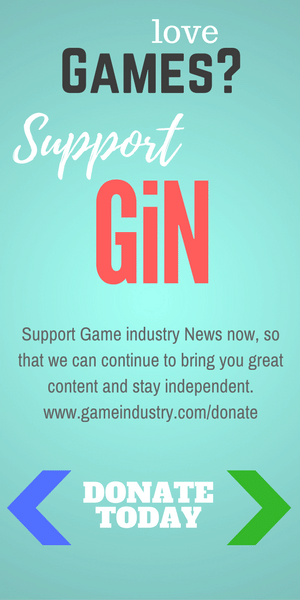 But, in a moment of candidness, a message appears that explains the tutorial really doesn’t show much of anything, encouraging players to go through the self-contained challenge levels and learn more before starting the main campaign. In a way, it works because of the sheer amount of content in Mudrunner, particularly each asset different vehicles have available to them. On the other hand, the challenges still don’t explain basic mechanics, such as how to work the game’s mapping system. 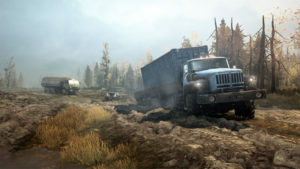 Opening the map details where trucks are located, points of interest, roadways and other features, but the interface is confusing and not always user-friendly on consoles. Trying to place a route marking down with any precision can be impossible at times because of how sensitive the cursor is on console, and rather than following a roadway, it creates a direct route from your location. That means you have to put down an individual marker along each part of the route you’re mapping, and because the map only puts down straight lines, you can find yourself placing a dozen points to travel a relatively short distance. It’s not just placing the points that causes an issue, though. Misplacing a point and trying to edit its position happens all too frequently, and if you accidentally tap A on Xbox or X on PS4, you can easily delete the path you just spent five minutes laying. This may seem like a minor annoyance, but the frequency Mudrunner has you mapping paths means you’ll spent large portions of a level figuring out the best approach to your destinations. 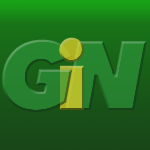 The interface is equally poor when it comes to selecting truck tools, such as the winch or logging crane, and trying to lock onto your intended environmental target can create additional frustration. It’s worth noting that these issues appear to be specific to consoles, with the design perfectly tailored to a mouse and keyboard setup. That said, there are times when the interface works perfectly, allowing you to seamlessly transition from plotting your course to driving it, maneuvering behemoth vehicles through dense forest while overpowering the elements. And when it works that way, it’s a hell of a lot of fun. 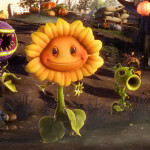 The day-night cycle brings an interesting element to the graphics and gameplay, too. More than a cosmetic feature, when night falls, minor hazards suddenly become potential truck killers. That easily avoided tree in daylight now appears in front of you without warning, and striking it at speed will put your truck out of commission before you even knew you should have hit the brakes. It’s a neat touch, especially when certain challenges ask you to complete an objective before the sun rises, further raising the stakes. The game’s audio matches its graphical features nicely, and the little kid inside of me felt a surge of excitement each time I heard a newly started truck roar to life. The slick mud squelches as tires vie for purchase, and smaller trees creak and crack as they’re mowed down. 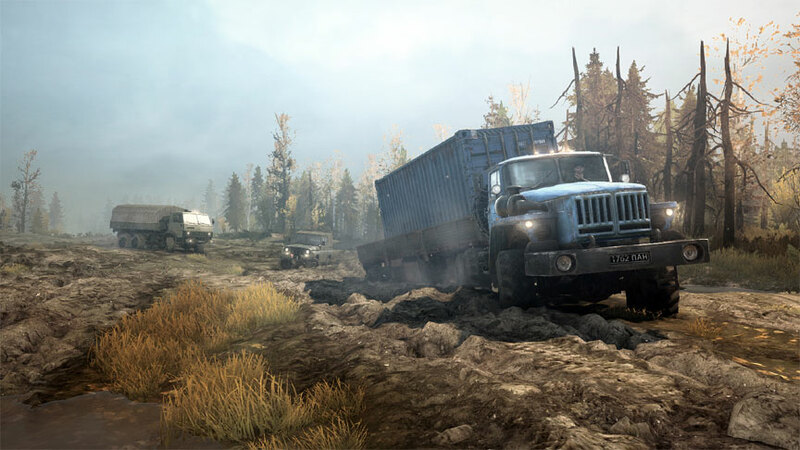 With a multiplayer component that allows up to four players to tackle missions together, new vehicles, huge maps and great presentation, SpinTires: Mudrunner is a great time, and it’s easy to pick up and play. The game would have been better served with a more detailed tutorial, and the console interface is poor at times, but it’s far from game-breaking. 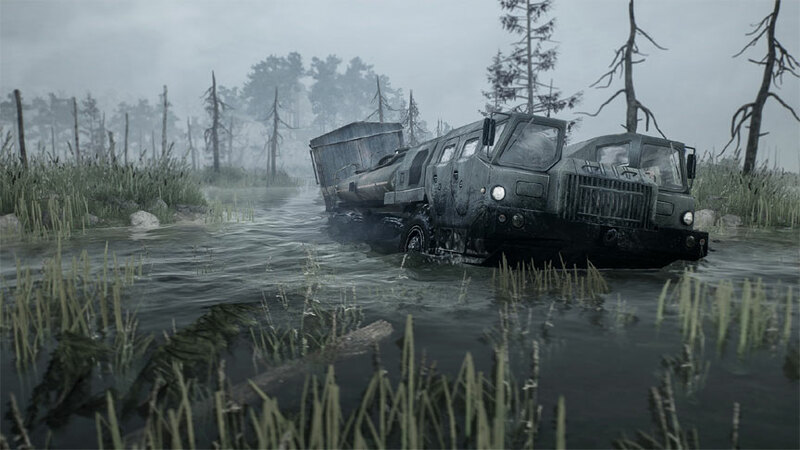 Control issues aside, SpinTires: Mudrunner is a ton of fun, and when you’re sloshing through the mud going entirely too fast, the game delivers one of the best off-roading experiences available. 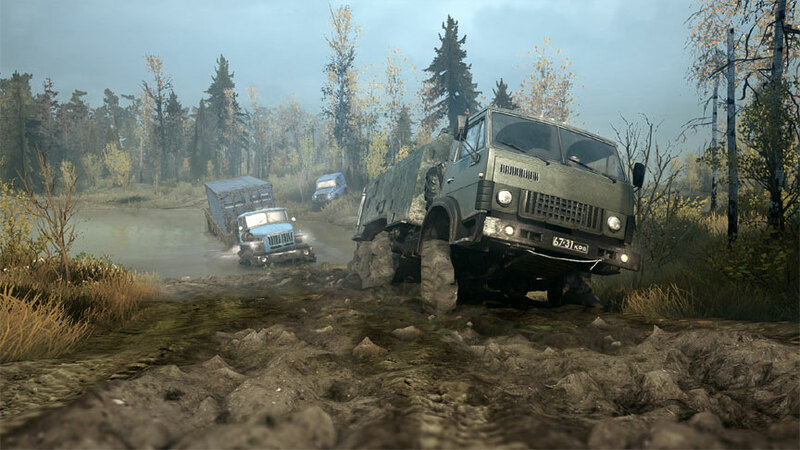 SpinTires: Mudrunner easily earns 4 GiN Gems out of 5 for being one of the most accurate and fun simulation games to come out in years.